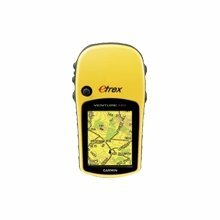 Using GPS (Global Positioning System) has become an essential skill in many fields of outdoor activities. This workshop will provide a hands-on introduction for people who have never used a GPS and a refresher for those whose GPS skills are rusty. The workshop will be led by Murphy Shewchuk – a well-known author of numerous outdoor travel and hiking guides and long-time GPS user. Topics covered will include the basics of setting up and using a hand-held GPS, setting and finding waypoints and some basic mapping. The workshop i s primarily aimed at Nicola Naturalist Society members involved with our Amphibian Monitoring Project, but is also free to all NNS members. Non-members can participate for a $10 donation. The workshop will begin at 1 PM with a classroom session at NVIT (Room U029) and continue with outdoor practical exercises. Bring your own GPS if you have one. The Amphibian Monitoring Project has 3 GPS units which will be available for those volunteers.